Bridego Bridge, on the West Coast Mainline between Leighton Buzzard and Cheddington, pictured on 25 November 2016. This was the location that was used on 8 August 1963 to transfer the high value mailbags from the TPO train to the waiting lorry, during the Great Train Robbery. The train had been stopped a little further up the line at Sears Crossing, and then driven to this spot under the direction of the robbers. 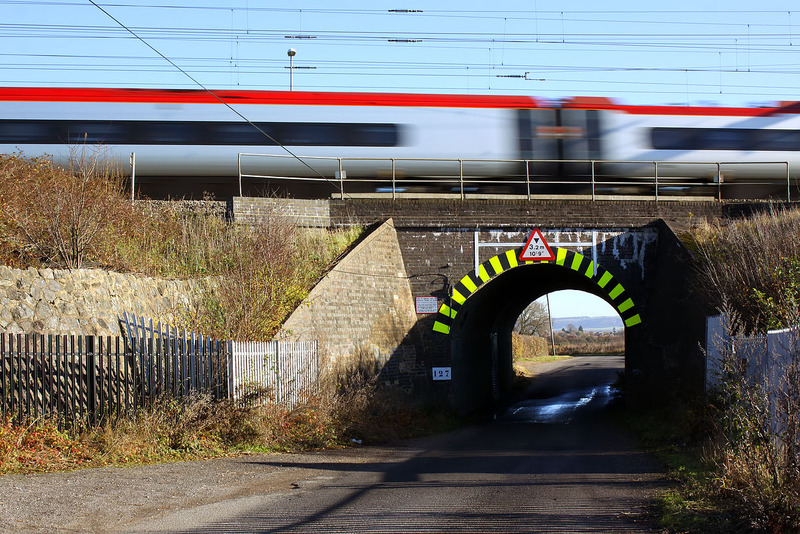 It has now probably become the most photographed rail underbridge in the UK! This picture was taken at 1/60sec to deliberately blur the passing Pendolino.